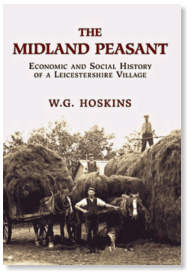 New publication to be launched at the AGM on 13th May 2010 Who Owned Rutland in 1873? Rutland Entries in Return of Owners of Land 1873 by T H McK Clough RLHRS Occasional Publication No 9 About this book In the early 1870s there were social concerns that too much land in Britain was in the hands of too few major landowners, and Parliament decided to carry out a survey to settle the matter. The result was the publication of the Return of Owners of Land 1873 in two massive volumes. The survey lists for each county all those identified as holding over an acre of land, where they lived, how much they held, and the notional rental value. Despite errors and omissions, the Return is a mine of information about the people of each county: Rutland is no exception. 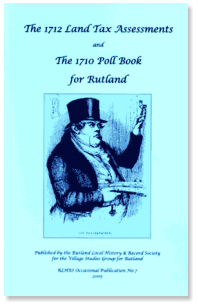 The return for Rutland is analysed in detail, with a discussion of who the county’s landowners were, where they came from and what they did. There are special sections on the parish of Lyddington and on an intriguing mystery concerning a group of minor landowners with strong associations with Chipping Campden in Gloucestershire. The 563 Rutland entries are transcribed in full, with notes about many of the individuals in the list. 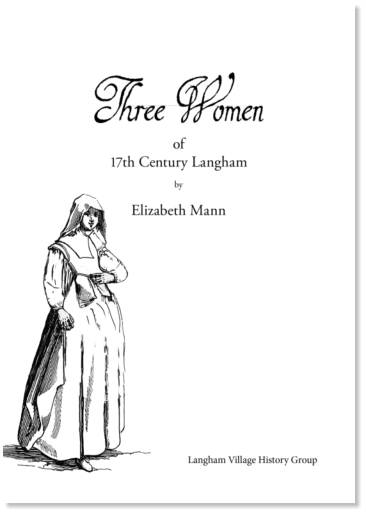 Paperback, A4, 60pp, illustrations, tables, index of addresses. About the author Tim Clough was Curator of the Rutland County Museum and Oakham Castle from 1974 to 2002 and is the Rutland Local History & Record Society’s Honorary Editor. Educated at Uppingham School, he has a degree in prehistoric archaeology from the University of Edinburgh and is a Fellow of the Society of Antiquaries of London. He has written and edited many books and articles on archaeology, local history and numismatics. His long association with the county of Rutland has left him with a keen interest in and appreciation of the county’s rich heritage, and he continues to delve into its past and to research its history. The normal price of this publication will be £7.50, or £6.00 for members of RLHRS, plus £1.50 postage & packing. However, we are pleased to offer members a pre-publication price of £5.50 plus £1.50 p&p for orders received before or at the AGM on 13th May 2010, as well as special discounted members’ prices plus p&p for the other Occasional Publications shown on the attached form which are ordered and paid for at the same time. After this date, normal members’ prices will apply. Those attending the AGM will be able to collect copies in person. Non-members will be able to order copies direct from the Society at the normal price plus p&p or on-line from www.genfair.co.uk (p&p price may vary). New publication to be launched at the AGM on 13th May 2010 Who Owned Rutland in 1873? Rutland Entries in Return of Owners of Land 1873 by T H McK Clough RLHRS Occasional Publication No 9 About this book In the early 1870s there were social concerns that too much land in Britain was in the hands of too few major landowners, and Parliament decided to carry out a survey to settle the matter. The result was the publication of the Return of Owners of Land 1873 in two massive volumes. The survey lists for each county all those identified as holding over an acre of land, where they lived, how much they held, and the notional rental value. Despite errors and omissions, the Return is a mine of information about the people of each county: Rutland is no exception. The return for Rutland is analysed in detail, with a discussion of who the county’s landowners were, where they came from and what they did. 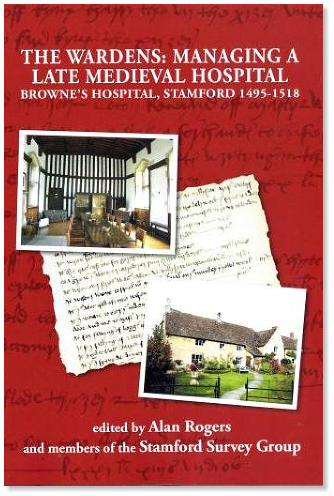 There are special sections on the parish of Lyddington and on an intriguing mystery concerning a group of minor landowners with strong associations with Chipping Campden in Gloucestershire. The 563 Rutland entries are transcribed in full, with notes about many of the individuals in the list. 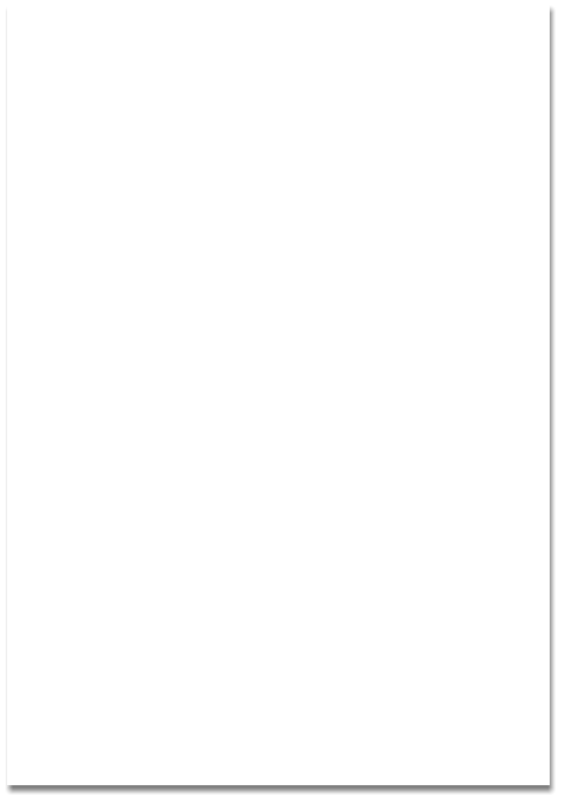 Paperback, A4, 60pp, illustrations, tables, index of addresses. About the author Tim Clough was Curator of the Rutland County Museum and Oakham Castle from 1974 to 2002 and is the Rutland Local History & Record Society’s Honorary Editor. Educated at Uppingham School, he has a degree in prehistoric archaeology from the University of Edinburgh and is a Fellow of the Society of Antiquaries of London. He has written and edited many books and articles on archaeology, local history and numismatics. His long association with the county of Rutland has left him with a keen interest in and appreciation of the county’s rich heritage, and he continues to delve into its past and to research its history. The normal price of this publication will be £7.50, or £6.00 for members of RLHRS, plus £1.50 postage & packing. However, we are pleased to offer members a pre-publication price of £5.50 plus £1.50 p&p for orders received before or at the AGM on 13th May 2010, as well as special discounted members’ prices plus p&p for the other Occasional Publications shown on the attached form which are ordered and paid for at the same time. After this date, normal members’ prices will apply. Those attending the AGM will be able to collect copies in person. Non-members will be able to order copies direct from the Society at the normal price plus p&p or on-line from www.genfair.co.uk (p&p price may vary).